In Spring 2009, Radio Uganda Boston went online. A free Internet radio based in Boston featuring an eclectic mix of music, information and cultural programming. The station has grown to be the leading Internet station among Ugandans in the diaspora and is still growing. The goal of the station is to be the leading Internet broadcaster reaching Ugandans across the globe with those in the diaspora as the main focus. 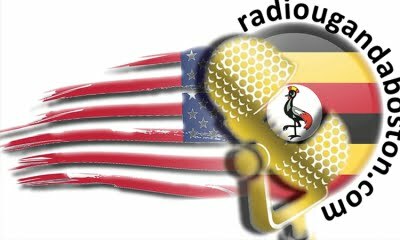 Radiougandaboston.com extends the station’s profile globally, featuring web – exclusive content: all music, all news and the live station simulcast. The broadcast signal is global in that you can listen to the broadcast anywhere in the world with Internet access. “The mission of the station is to enhance communication among Ugandans and friends of Uganda across the globe especially those in the Diaspora for the promotion of community outreach, cultural, economic, social and political development through networking powered by Internet technology,” said Geoffrey Kaweesa, the Programmes Director of the station. The programming fully embraces all that Ugandans in the diaspora long for: Home. Uganda is now just a mouse click away. With a wide variety of programs in politics, social affairs, religion, entertainment, Radio Uganda Boston has something for everyone. Visit www.radiougandaboston.com to learn more about the program schedule, upcoming events, the presenters, community network and more.